With the cooler temps you may just want to curl up and stay inside. Don’t let the weather keep you home! 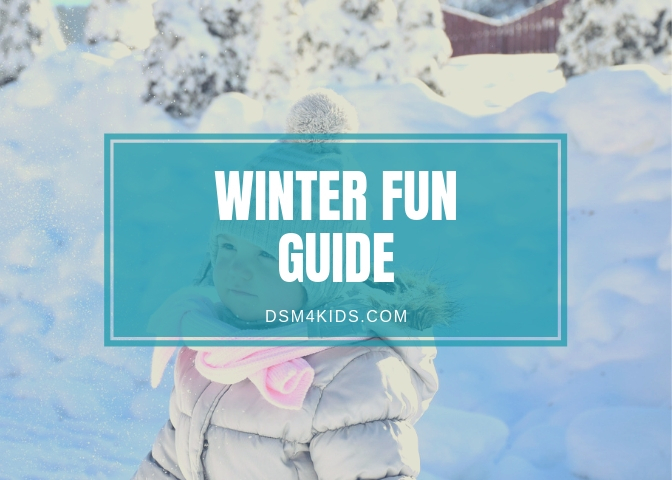 There’s plenty to do in Des Moines this winter with the kids, from museums and theater shows, to new classes and indoor play spaces, and of course winter sports like hockey. Embrace the season with a fun winter outing from our Winter Fun Guide. Our Winter Fun Guide launches early in the season, a bit before all of the winter events have been announced, so check back often as we will be continuing to update the Winter Fun Guide throughout the season! You can also visit our Events Calendar to find even more options.